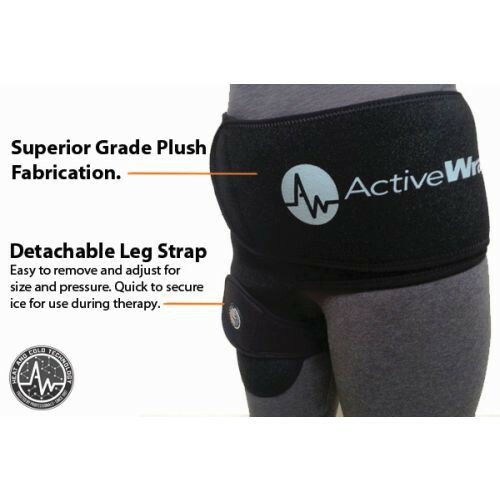 Hip Heat & Ice Wrap by ActiveWrap is a super-comfortable hip wrap delivering both hot and cold therapy. 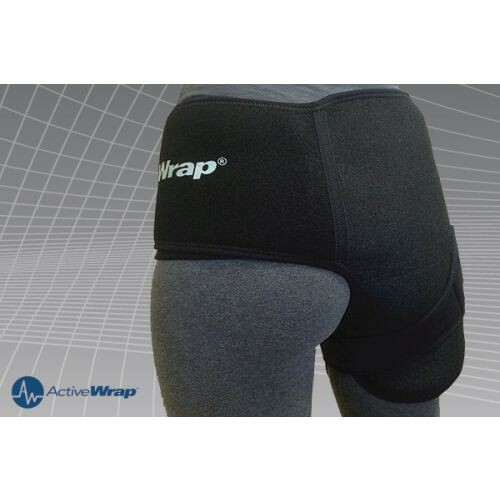 This high-quality compression wrap provides convenient regular therapy for individuals with chronic hip pain and inflammation and needing hip injury management as well as for those recovering after hip replacement surgery. The neoprene and Velcro provide infinite adjustment options to fit a wide range of users. The detachable leg strap gives it a universal design to use on either the left or right hip. The leg strap adjusts the amount of compression as well. 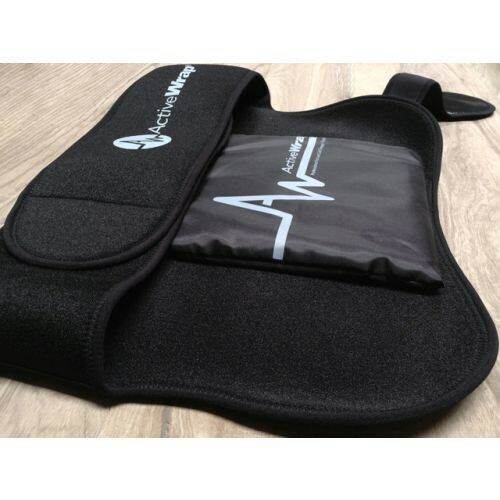 Most importantly, it keeps the flexible heat/ice pack in place during therapy so you don't have to worry about it sliding down. The leak-proof pack is extra large for more surface area coverage made with a soft, pliable gel to be placed directly where you need it the most. This also allows the user to control the temperature and make the necessary adjustments. Place pack in a bowl with water and microwave to desired temperature for quick hot therapy. For cold therapy, the pack will administer one hour of cold therapy. Users have found it most helpful to purchase the additional set of replacement heat and Ice packs to have extra on standby. Placing the hip wrap on is made to be easy, especially after surgery. It's even a good idea to take the wrap to the hospital to have it placed on post-surgery. The wide waist straps make it manageable to slide under when lying down. When not in use, ActiveWrap includes a drawstring storage bag. Wrap Size: 21" x 16.5"
Leg Strap Size: 15" x 6"